Our delivery of “on time” quality parts at competitive prices has been the basis for the unusual growth in our customer base from a wide range of industries. 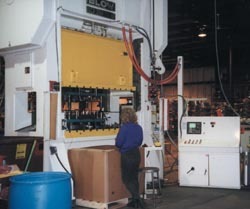 Our experienced veteran work force, averaging nearly 10 years of service, along with our wide range of capabilities for high-speed presses to four-slide and multi-slide machines, welding, finishing, to maintenance and warehousing can assure satisfaction to our OEM customers on their long and short run needs as well as “Just In Time” delivery with confidence. 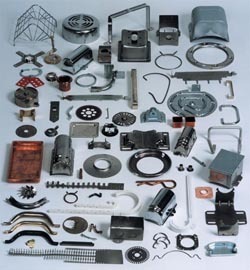 Among the many fine stampings C & S has produced are motor starting capacitor cases and covers, conduit boxes and covers, clamps, component mounting clamps, centrifugal switch guards, fan guards, motor mounting bases, yokes and baffles. For a free copy of our latest products catalog by mail, please call us Toll Free at 800-959-0374 or request a copy through our Contact Us Form. 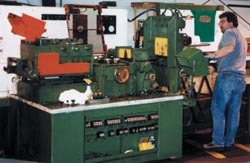 A complete custom steel slitting facility is in house and available to you. We can also provide Round Edging, Blanking and Cut-to-Length services. 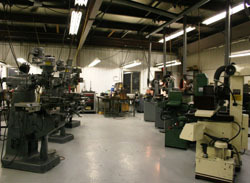 Our Tool Room is equipped and staffed to design, produce and maintain your tooling. Creative tooling assures efficient production and quality parts at the lowest piece price. Our large bed presses are capable of single piece stamping or progressive step stamping for maximum production at minimum cost. 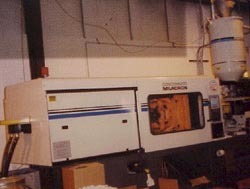 C & S Manufacturing Corporation has Plastic Injection Molding equipment to satisfy all your custom molding requirements.